At Revolution we love working with entrepreneurs and helping them to start and scale new businesses, which is why we are looking forward to firing up the Rise of the Rest bus again and hitting the road in early May. Revolution, Google for Entrepreneurs, and UP Global are pleased to announce the cities and dates for the third Rise of the Rest: we’re heading to Richmond on May 4, Raleigh-Durham on May 5, Charleston on May 6, Atlanta on May 7, and New Orleans on May 8. These are some of America’s oldest cities – places steeped in history. However, we are not visiting these cities to celebrate the past; we are there to showcase the future, and see first hand how entrepreneurs in each of these cities are building the great new businesses of tomorrow. Rise of the Rest is about telling their stories. During each stop we’ll visit local startups and accelerators, hold public events and meetings with entrepreneurs, investors, elected officials, civic leaders and others, and host a pitch competition in each city where we’ll invest $100,000 in a promising startup. (If your startup is based in or near Richmond, Raleigh-Durham, Charleston, Atlanta, or New Orleans, apply to pitch here.) And before getting back on the bus at the end of the day, we’ll have some drinks and celebrate with folks in each community. It’s a lot of fun, but it’s also meaningful. This is the dawn of a new beginning in American entrepreneurship: technological advances have erased barriers to entry in many industries, improvements in policy and new platforms are making it easier to raise capital, and there is a growing consensus that the key to succeeding in a competitive, global economy is ensuring we create the conditions for entrepreneurs to start and scale innovative new businesses. According to the Kauffman Foundation, nearly all new job creation comes from startups. That in turn creates communities that are on the rise. Large companies don’t just come out of nowhere; they start as startups. So communities need to rally to support the entrepreneurs that are creating the startups that can help usher in a brighter future. And it’s great to see American entrepreneurship is exploding all across the country. I gave a keynote talk this past weekend in Austin at SXSW, talking about the past, present, and future of the Internet. I suggested the coming “third wave” of the Internet will disrupt some of the biggest industries in the country –like health, learning, energy, and food. And I noted that given the leading companies in these sectors are mostly located in the middle of the country; the “rise of the rest” cities will become increasingly important. The data suggests “the rest” is already starting to rise. A Harvard Business Review study shed a light on how the distribution of VC dollars is spreading to metropolitan areas previously overlooked by investors. The Midwest saw more companies funded in 2014 than at any point in the past five years. There are four regions in the U.S. that are seeing higher unicorn success rates than Silicon Valley. And startups are helping to restore Detroit. It’s a promising trend, but there is much work to be done: last year, 75 percent of venture capital went to just three states. On our upcoming tour we’ll visit American Underground in Raleigh-Durham, Harbor Entrepreneur Center in Charleston, Atlanta Tech Village, Idea Village in New Orleans, and Lighthouse Labs in Richmond – all of which are helping to provide entrepreneurs with proximity to talent, mentorship, and capital. 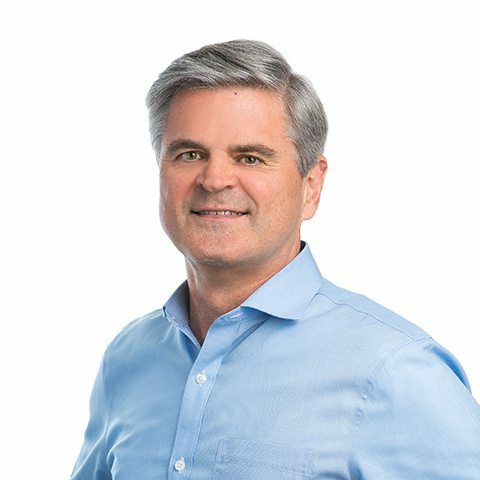 Joining Revolution as partners, in addition to Google for Entrepreneurs and UP Global, will be Salesforce forStartups, Engine, Seed Here Studio, Tech Cocktail, Startup Grind, and Village Capital in May. We are grateful for their support, as we seek to rally the nation to the support Rise of the Rest entrepreneurs. To learn more about the upcoming trip, visit www.riseofrest.com and follow us @RiseOfRest. See you on the road again! Rise of the Rest – Spring 2015 Edition: Pitch Competition Participants Revealed!